East Texas organic farm and CSA. It’s last call for the summer garden, and as the last peppers trickle out, we’ve been stuffing ourselves silly. Try these variations on the stuffed pepper—and tell us how you’ve been using your peppers down in the comments! This is our sweet take on the ever-popular jalepeno popper. The sweetness of fruit preserves mixed with the creamy filling helps to cut through some of the peppers’ heat, and the end result is truly addictive. Preheat the oven to 400 degrees and place an oven-safe cooling rack on top of a baking sheet (this allows the bacon grease to drain off and the bacon to crisp up, as it would on a grill). Slit the peppers length-wise and, using a spoon, scrape out and discard the seeds and ribs. 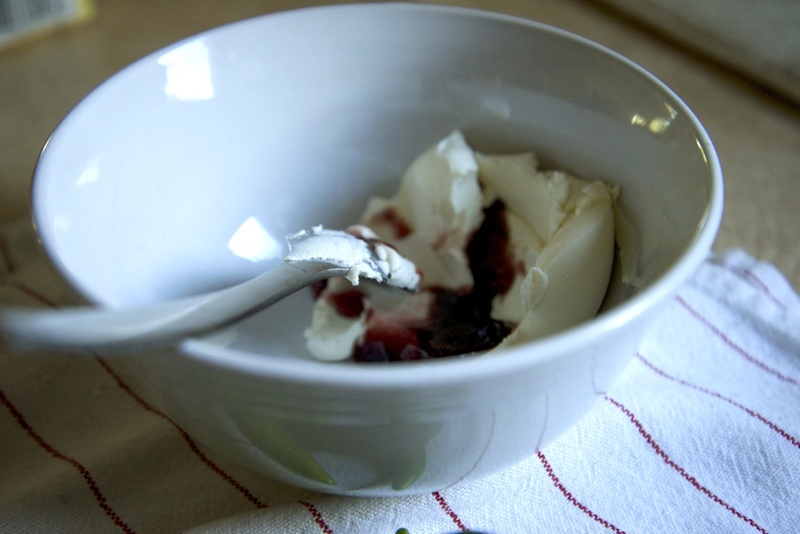 Thoroughly mix the jam with the cream cheese and spoon the mixture into the peppers. 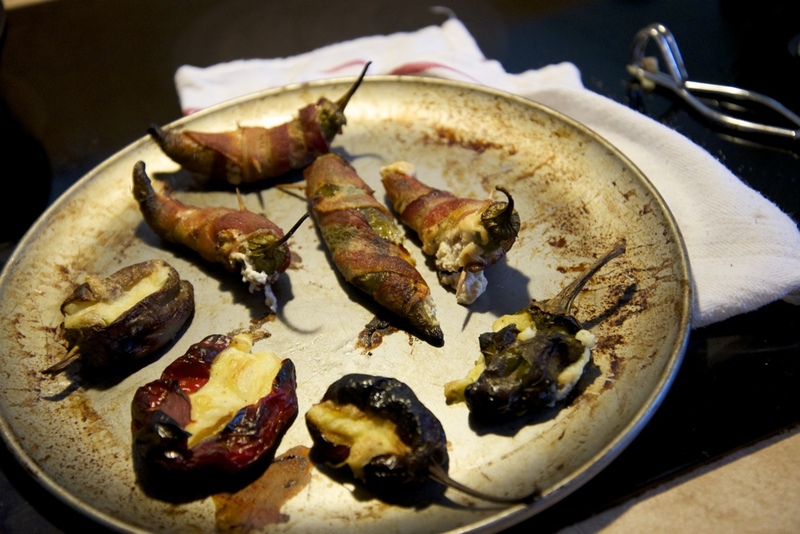 Wrap a bacon strip closely around each pepper, stabbing a toothpick through the bacon’s end to seal the pepper shut. Roast at 400 degrees for 20 minutes, or until the bacon has cooked through and is crispy. These savory treats are a darling at our table—serve as appetizers, as a main course, or in our favorite iteration, as a Mexican-styled brunch with ranchero sauce and refried beans. The cheese used in the grits can suit your purpose. We’ve tried different versions, and our favorites are: cheddar and parmesan, queso fresco, or gouda. You could really go any direction . . . experiment! Remove the peppers from the oven and set aside on a cutting board under an up-turned bowl to create a “sweat lodge.” Leave to cool. While the peppers are roasting, make the grits. In a medium pot, bring a cup and a half of water to boil and add a pinch of salt. Lower to a simmer and sprinkle in the corn meal, whisking all the time until smooth. Keep the grits at a simmer until they are cooked and most of the water is absorbed. Taste for doneness (you may find that you’ll need to add a bit more water if it’s too al dente). When the grits are done, stir in the cheese, season to taste with salt and pepper, and allow the mixture to cool a bit so that the grits are set, and not runny. When the peppers are cool enough to handle, peel off the skins and discard. Slit the peppers open, carefully, and scrape the seeds and ribs out with a spoon. Spoon the grits into the peppers and, if needed, seal shut with toothpicks. Return to the oven briefly, about 8 minutes, to help the flavors meld. These recipes look great! I’ll have to try them both!